The slogan ‘Breakfast of Champions’ was first introduced in 1930 by Kellogg’s as their marketing tagline for Wheaties cereal. 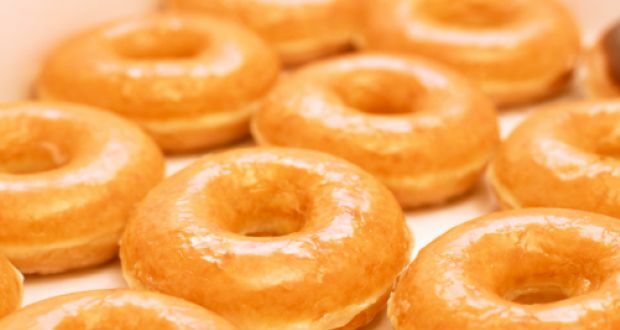 Interestingly, another food consumed at breakfast made its debut a few years prior, in 1917: the donut (also spelled doughnut, but pronounced the same)! It is chronicled that the donut made its debut during World War I by the ‘lassies’ of the Salvation Army. Throughout the years, the fried delectable has been the subject of news articles, two authoritative books, ‘The Donut Book‘, and ‘Donuts: an American Passion‘, as well as providing inspiration and joy to countless masses. The donut has even garnered a ‘National Day‘, the first Friday in June, to celebrate its place in America’s culinary repertoire. Whether it has been used as an incentive for the 5 year old swimmer to complete their first length of the pool, or to the seasoned athlete that scarfs them down as a dietary supplement prior to a competition, the donut is as much a part of swimming culture as water itself. As a 9 year old trying the swim team for the first time, I recall the coaches gathering the team after Monday morning practice and handing out the ribbons earned from the prior Saturday’s meet. After all the ribbons were doled out, they unveiled the unmarked brown boxes full of chocolate and glazed donuts from our local Montgomery Donuts. In my mind, this did it – swimming was my sport! Every Monday for the next 9 years I looked forward to the ribbon ceremony, regaling tales of victory and defeat and sharing donuts with my teammates. As I grew with the sport, I had many experiences, but one was constant – there was always an appetite to consume a donut (or several) from the local Montgomery Donuts. Sadly, in the late 90’s Montgomery Donuts saw financial troubles, and in 2003, the roof of the main bakery collapsed, ending their presence in the area. Chains such as Dunkin Donuts and Krispy Kreme invaded the DMV, and these chains, along with local bakeries and supermarkets, took a foothold in the market, providing ample resources for young swimmers throughout the region to get their fill of the center-less treat. I’ve been challenged by myself to post 1,500 of my favorite donut shops, no other words (except for a brief description). Each day, I will post a link to the donut shop and nominate myself to do so again. We start with Ferrell’s Donuts in Santa Cruz. I have been there twice now. These probably are my favorite donuts in the world. Day 9 – 202 Donuts in Bethesda, in the former Bold Bite hot dog store space. These are very good donuts – in fact, they are artisanal. Very intricate combinations of ingredients and ornate appearance, and good quality. However, they come at a ridiculous price. I think it’s about $4 per donut. If you were to buy 2 of these every day, it would come out to about $3,000 per year. You could buy 6 donuts every day at Shoppers for that price. Day 1,311 – Washtenaw Dairy in Ann Arbor. I believe that I have only had these once – at a tailgate before a football game. They were outstanding. Possibly the best donuts in the midwest, and among the top 5 nationally. Day 9 – Ize’s. Based on my observation as a nearly-daily customer, they only have donuts on Fridays and weekends. I have, on 2 separate occasions, heard a cashier tell customers that their donuts are “the best donuts in Maryland”. No. These donuts are dry and mediocre. Similar to Tim Horton’s. Ize’s is my second home and the workers there are my second family, but it is not the place for donuts. Drive 1 block south to the DD on the Pike to get a donut after your bagel. Day 838 brings us to Tim Hortons. For years I had heard about this legendary Canadian chain, but did not have a chance to go to one until they expanded to Michigan relatively recently. I have been twice, and am not impressed. There is no such thing as a bad donut, but these are dry and mediocre. On day 19, I will go with Shoppers Food Warehouse. Since the demise of Montgomery Donuts, this is the best donut in Montgomery County. They are a great bargain at $0.69, and just huge. One of these can serve as a suitable meal replacement, and two will give you all of the nutrition that you need for the entire day. I have been here for meals probably 7 or 8 times, but never noticed or tried a donut. It is a very, very good one. Best in Anne Arundel County and among the best in the great state of Maryland. Day 3 is Duck Donuts. The trade name contains the word “donuts” and they are very good, but I don’t consider these to be donuts. These are made-to-order mini-cakes shaped like a donut. They are good, but the wait often is too long. I put Fractured Prune in this same category, so will not be doing a review of that. Sorry. Day 6 features a place that will surprise some, but not all: Bethesda Bagels. Known mostly for their . . . bagels, they actually have some very good donuts. I urge people to give them a try. Day 9 of the donut challenge: Krispy Kreme. The second best of the national chains, these can be quite good when you get the hot glazed ones right off the press. It’s also fun for the little kids to watch them being made. Beyond that, they are a bit on the small size, a bit too sugary, and somewhat lacking in substance. Day 513 brings us to Voodoo Doughnuts. Very good doughnuts; for sure in the top 15 in the nation. We visited the Austin location last autumn. The next day of our challenge brings us to Sugar Shack of Alexandria. I have only had a one-time experience with these*, but found it very satisfying. * When the kids were little, after a couple of bad experiences, I prohibited them from eating donuts before or during swim meets. They just sit there, and probably are the worst thing you can eat before a swim. I was at a masters meet last fall, and they had the Sugar Shack donuts in the hospitality room for swimmers. They were just sitting there, they were free, they looked really good, and I wanted to try them, so I did. Let the record show that I had a good 50 backstroke after eating the donut(s). It’s a fake event, but it’s a possible breakthrough in athletic nutritional philosophy. On day 12, our journey takes us to my favorite of the national chains: Dunkin’ Donuts. There is nothing better than the chocolate cream early in the morning. Wherever you are in America, there is a DD in close proximity. They have the best locations. The best. Warning: if you want a donut in the afternoon or evening, this is not the best place for you. The donuts get old/stale quickly. In the morning, they are great tho. We invite you to provide your story in the comments about your relationship with donuts – are they the breakfast for your little champion? Well done my friends. 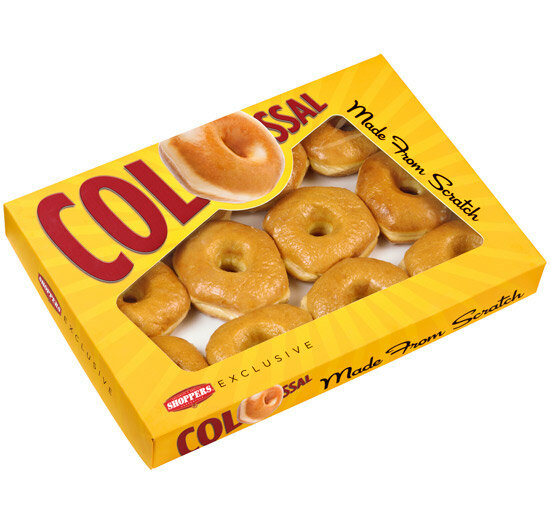 I’ll add to your own MCSL donut origin stories with my own tidbit that I used to volunteer as a runner at Tanterra B meets in the early 80s – solely because officials got a free donut at the break. That chocolate glazed Montgomery Donut was always worth it. I also remember vividly watching a mother waving a MoCoDo at her 6&under as he stood at the far end for his pre-team swim at one of the same B meets. I can’t say if he did a best time, but let’s just say he swam faster than he would have otherwise. Hopefully your next column is an ode to the Bob’s Big Boy that used to be at the junction of Georgia and Connecticut Avenues. Either that or McDonald’s and its place in MCSL history.